You are at:Home»Advice»How To Manage FOMO? 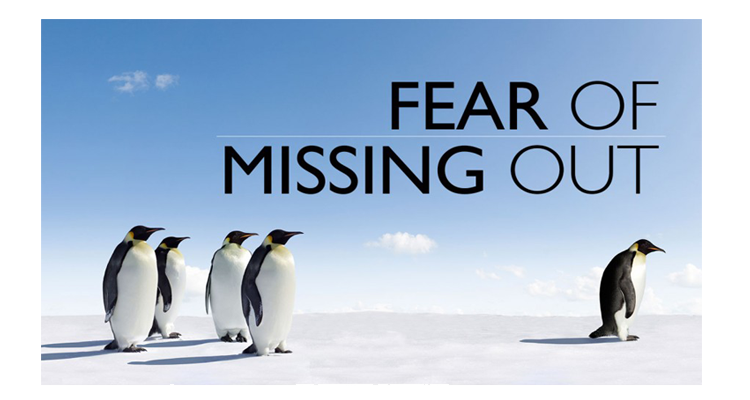 Don’t listen to the voices spreading Fear Of Missing Out (FOMO). Listen to yourself. Do your own research. Do not follow the crowd. If you follow a blind person headed for a steep cliff ahead, would you follow that person? No! You both will go over. Reseach and a cool head are key. Research is a headlight that allows you to see what is yet ahead. Next Article Another Market Crash!